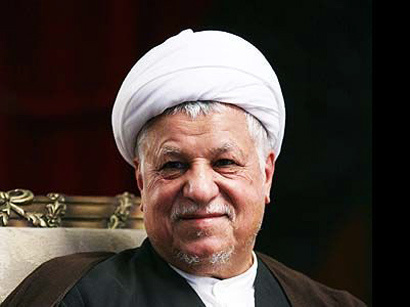 Pro-reform Islamic Iran Participation and the Islamic Revolution Mojahedin Organization fronts have declared they will support Ayatollah Akbar Hashemi Rafsanjani in the upcoming presidential election in Iran, the Noruz website reported. Rafsanjani, who has been Iran's president twice, joined this year's race at the last minute. He was elected chairman of the Iranian parliament in 1980 and served until 1989. Rafsanjani also served as president of Iran from 1989 to 1997. Despite the ruling conservatives, Iran's major reformist leader, ex-president Mohammad Khatami announced his support for Rafsanjani on May 11. At the elections, Rafsanjani, if approved by Iran's Guardian Council, will have strong rivals in Secretary of Iran's Supreme National Security Council, Saeed Jalili, and the head of presidential office of current president Mahmoud Ahmadinejad, Esfandiar Rahim-Mashaei. Many of members of Islamic Iran Participation and the Islamic Revolution Mojahedin Organization fronts were arrested and jailed after unrests during the previous presidential election in 2009. The Islamic Iran Participation front has referred to the upcoming presidential race as a "historical opportunity" for holding a "healthy, free, and competetive" election. The Islamic Revolution Mojahedin Organization front has said in a statement that "the gap between the government and the public has reached its peak, so that distrust toward the administration has never been so high." "The Iranian society is facing with vast violation of legal freedom, intense law breaking, extreme censorship, and harsh economic, social, and political situations after the victory of the Islamic Revolution, which is a fruit of taking inefficient approaches by the ruling system in the past," the statement added. The Islamic Iran Participation and the Islamic Revolution Mojahedin Organization fronts had supported oppostion leader Mir-Hossein Mousavi in the past presidential election. Mousavi was placed under house arrest after his supporters staged protests on February 14, 2011 which left two people dead and several others injured. Meanwhile, more than 100 Iranian MPs signed and submitted a scroll to the Guardian Council, stating their refusal against Ali Akbar Hashemi Rafsanjani's participation at the elections, Fars news agency reported. "Rafsanjani's recent statement about Israel, his unclear position on 2009 post-president election protests, and his transgressing the commandments of Iranian Supreme Leader Ayatollah Ali Khamenei" were listed in the scroll as the reasons for the protest. Iranian ex-president who is serving as the head of Expediency Discernment Council said two weeks ago that "Iran doesn't have any interest in being involved in war with Israel. However, if the Arab countries begin the war with Israel, we can support them". Iranian MPs said this is against thoughts and ideals of Iran's former and current leaders, Ayatollah Ruholllah Khomeini and Ayatollah Ali Khameni. The Principlist and Conservative groups in Iran also criticize Rafsanjani for "his uncertain position about the 2009 elections sedition". Iranian authorities refer to unrests and demonstrations following the announcement of the result of presidential elections as "sedition". Iran will hold the 11th presidential election on June 14. The voters will select the successor of the current President Mahmoud Ahmadinejad, who is not able to participate in the elections for the third term according to the country's constitutional laws. The president of Iran is elected for a four-year term in a national election and the Guardian Council vets the candidates for qualifications.